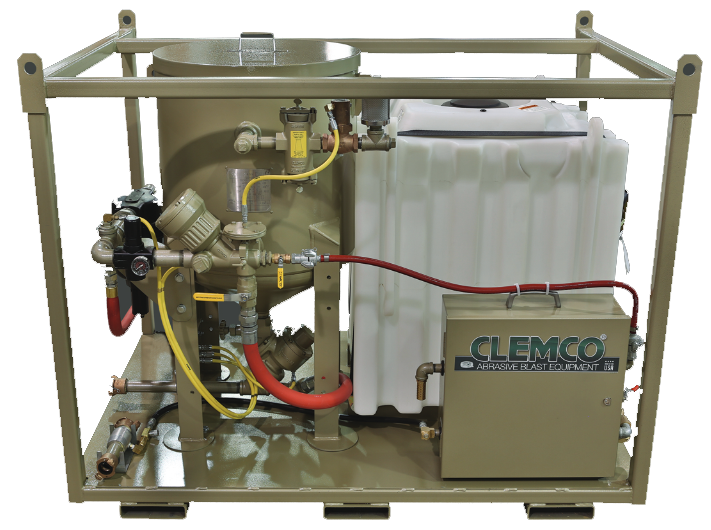 Clemco's all-in-one WETBLAST FLEX™ system gives you convenience you don’t get from traditional slurry systems. Its design and simplified set up and operation make for easier end-of-shift shutdown. By mixing the abrasive and water after it leaves the blast machine, you never have to empty a machine of a messy water/abrasive mix. EcoQuip’s® machines are versatile and gentle enough to clean wood, sandstone or limestone, often the building materials used in historic structures. EcoQuip® has the ability to leave a smooth profile on these historic structures, and after a quick adjustment, able to remove high-solid paint off of steel, leaving the industry’s standard 2.5 mil profile. Schmidt announces the most versatile abrasive blasting system on the market today. The AmphiBlast gives you the unique ability to wet blast or dry blast, ALL IN ONE UNIT! 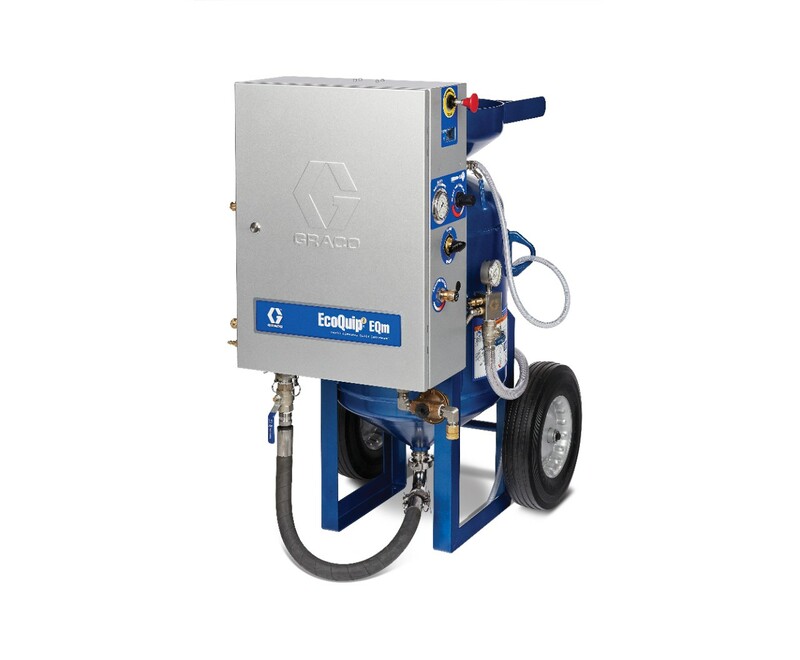 Available in single outlet or multiple outlet units, the AmphiBlast makes it easy to switch between wet or dry abrasive blasting. 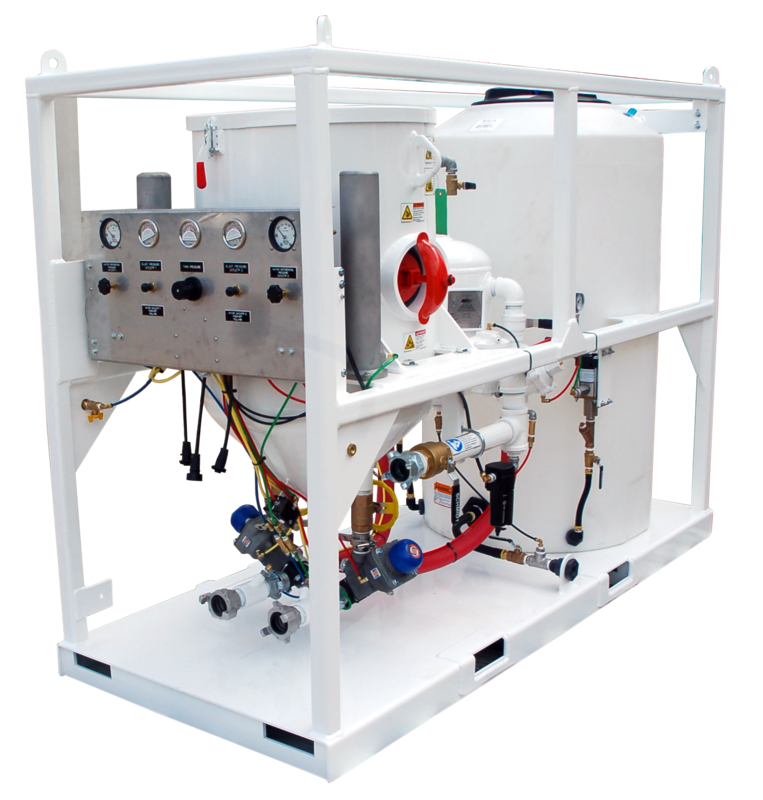 Multiple outlet units give you the option of wet blasting AND dry blasting at the same time. The AmphiBlast also provides the capability of blow down and wash down. With M.I.S.T.™ (Moisture Injection Schmidt Technology), Schmidt gives you a wet blast/dry blast system that uses minimal water, allows for a wide range of abrasives, and a broad range of blasting pressures. Reliable and high performance Schmidt technology at its finest.